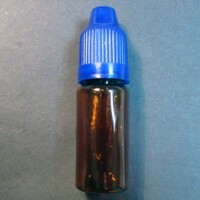 Brown blue-topped plastic dropper bottle with trace of clear liquid, sold as psilocybin in solution. 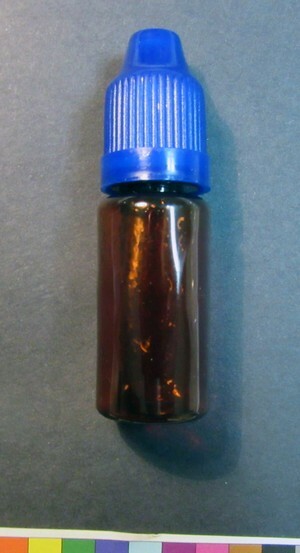 This liquid sample was accepted for analysis with prior arrangement. 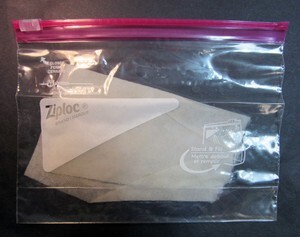 As requested the sender placed a drop on paper and submitted it with the empty vial, which contained a very small amount of liquid. 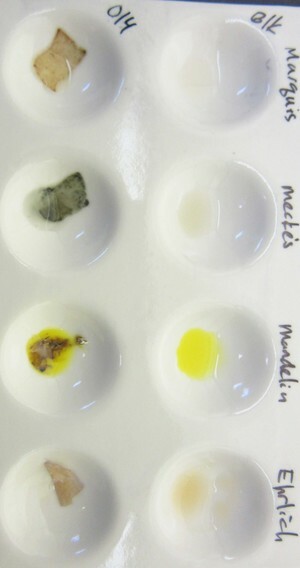 (Vial and paper pictured, below left). Liquid samples are normally excluded from EcstasyData testing and will not be analyzed without notifying EcstasyData beforehand. Nov 20, 2018: Lab reagent-tested the paper that was submitted.